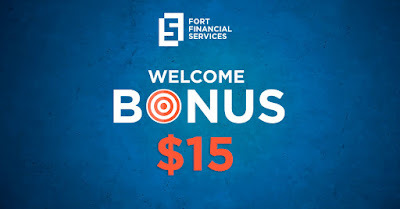 We are pleased to announce the launch of a promotional campaign "Welcome Bonus 15 USD". From 2015/10/12 to 2015/10/23 the welcome bonus of 15 USD or the equivalent in EUR is available to all customers. 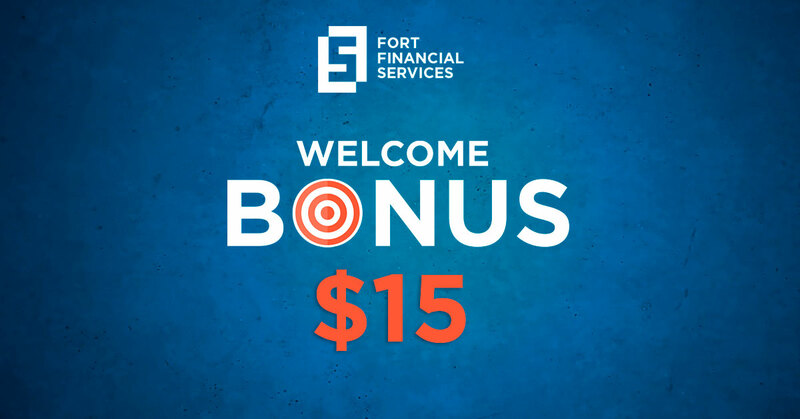 The bonus is available to both new customers and those who are already working with Fort Financial Services. If you are an existing customer and have previously received a welcome bonus of 5 USD, then during the term of the action you can take a new bonus 15 USD. You just need to click a button to get a bonus in the appropriate section of your Trader's Room. In case, your "old" welcome bonus 5 USD is still active, you can continue to work with it. Thus, some of you will be able to work simultaneously with two bonuses old and new. The trading turnover for bonuses will be calculated in series. The beginning of the month was positively met today on the global markets with the strengthened Asia and growing Europe. European markets were growing, on average, by 1.5% at the beginning of today’s session. American futures have added approximately one per cent and the currency pair JPY/USD was traded at around 120- on the mid level of the ongoing consolidation. The carry-trade strategy of the Japanese yen was in the “game” again based on the growing share markets. The mood was spoiled by the world's news agencies, and more specifically by the Bank of Japan which released the statement that in the current environment the regulator does not see the need for the immediate support for markets’ expansion and incentive programs. The bank prefers to wait for the release of enough statistical data so that it can decide on further stimulating programs. The market reacted with an immediate strengthening of the Japanese currency by 20 points. The pair dropped from 120 to 119.75. With the ECB hints spoken last week against the extension of incentive measures in the near future, all hopes were put to the Bank of Japan and its October assembly. Robots and algorithms are set to work on the news background, a kind of an instant responded to sell the dollar against the yen. This in turn caused a rollback of futures on US markets, which showed vigorous dynamics throughout the day anticipating a strong opening of US stock exchanges. After the events in the USDJPY American futures have dropped and futures on the broad index of SP 500 are traded with an only 0.10% increase. (1975) The German DAX also moved from growth to fall and is now losing 0.47%. We have already said that there are no enough reasons for the market reversal and correction completion – is a matter of time. Is it so or not we will find out soon. Earlier, the world’s emerging markets were growing based on the increasing oil price and the correcting price of commodity markets. The data for China showed that the manufacturing activity in China continued to fall in September however, the figures were better than the August ones. The index of the emerging MSCI markets was traded positively by 1.70% today. Asian markets were positively traded growing by approximately 1.5%. Chinese markets are closed for a long weekend. Yesterday, the global markets completed another highly volatile month. If some markets still managed to get in a little plus for the month, the global markets lost an average of 7-10 percent during the past three months. 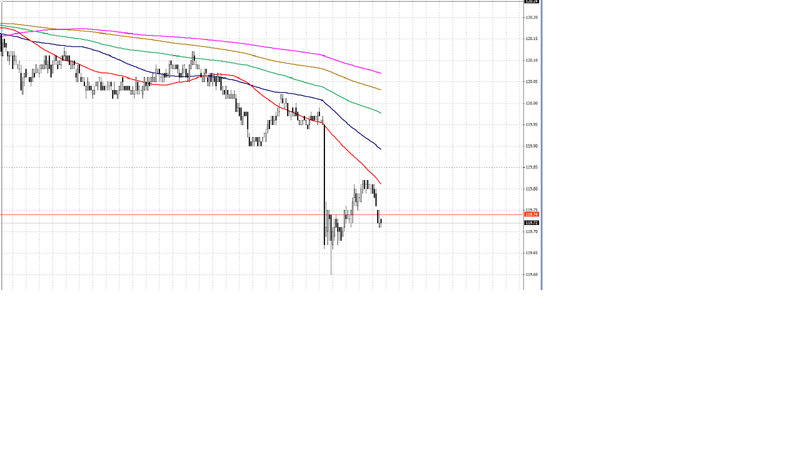 Euro is still traded on the set levels. The breakthrough of 1.1190 gave the possibility to the pair to start testing the level 1.1145. Before the release of the data regarding the US unemployment euro will remain restricted in its moves and within the set range. 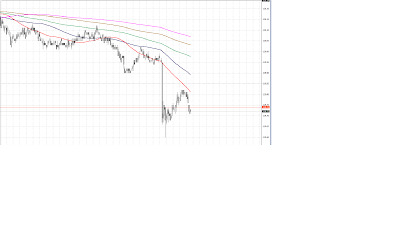 The euro reaction to tomorrow’s news, in our opinion, will be very volatile. Oil futures continue to strengthen, crude oil Brent is traded at the level $48.85, slightly away from the maximums of the trading day; the American WTI rose by 1.53$ and is now at the level $45.78. Futures on gold continue to drop since the last week’s 1112. Now the metal is traded in the area of the two-week minimum (1100). Gold is under pressure due to the rising US dollar. If tomorrow the market observes strong numbers then it will become another negative signal for the metal’s quotations. The review is prepared by the analytical department of Fort Financial Services. In the middle of the week, crude oil futures were traded with no changes before the publication of important macroeconomic data on stocks of "black gold" in the vaults of the United States. The data was disappointing. According to the releases the reserves of crude oil have increased to 3.955 million barrels versus the forecasted 0.102 million barrels. Traders watch for signs of reduction in the global oversupply of "black gold", because of which the price of oil since 2014 has lost almost half its price. However, in the last few months was observed a reduction in the oil production in America. According to the results of the previous two weeks the reserves were reduced by almost four million barrels to 454 million. Analysts from Fort Financial Services say that concerns about the slowing global economic component keeps prices within a narrow range. It should be noted that futures of Brent crude oil traded practically with no changes. Trades were closed at 48.37 dollars per barrel. WTI oil was closed at 45.09 dollars per barrel. According to the report of the American Petroleum Institute of the past week the total reserves of "black gold" in the vaults of the United States have increased significantly. According to the releases, crude oil inventories rose to 3.955 million. barrels against the forecasted growth of 0.102 million. barrels. For traders, these preliminary results are negative, but they have not yet been materialized with the signal, announce the analysts from FortFS. In fact, this information was contrasted with a decrease of commercial stocks of "black gold" in the Cushing terminal, reported earlier by API. It must be noted that according to the survey conducted by Bloomberg, market participants expected a decrease in reserves. The dynamic component of the recent events is a bit different from what we were used to see in the beginning of autumn. Traditionally, at this time of the year reserves increase, whereas gasoline demand decreases, plus a number of oil-processing plants closed for the purpose of preventive maintenance. You may find more detailed information on the website.